Start here for a quick introduction. These executive-level materials will give you a quick introduction to Redwall and our products. These materials will provide more thorough information suitable for both product managers and technical staff. If you were given a download code, please use the form below to enter your link ID or download code. Redwall can help you with your small business set-asides. Interested in partnering? 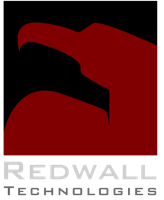 Redwall frequently partners with both defense primes and other small businesses. Redwall is an all US company employing only US citizens, and has staff that can meet your security requirements.